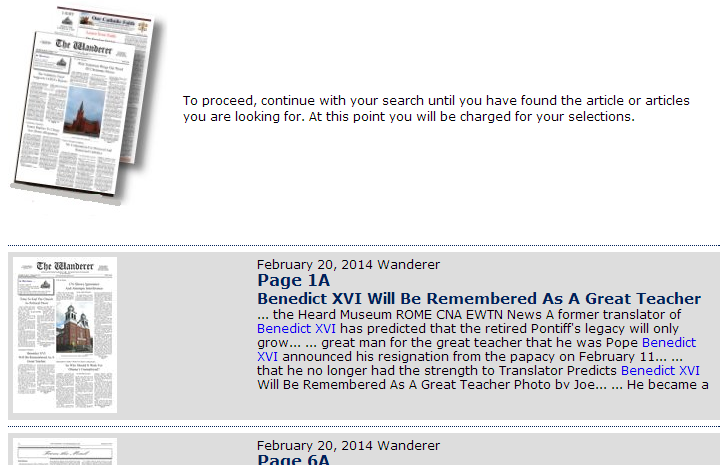 A really affordable and cost-effective online archive. The power of the e-Archive allows you to reach a worldwide audience but most importantly becomes more accessible and useful within your own organization. We have the experience to help you in what is often the hardest part of an archive project – getting started. We digitize your content irrespective of format providing users with literally decades of information. Tecnavia’s e-Archive is always compatible and up to date, preserving your heritage and keeping the look and feel of the original documents. NewsMemory e-Edition Archive is a cost-effective solution for newspapers to store their current and historical replica editions in one central, searchable database. Invest in your history, capitalize your archive! e-Archive stores any publications and makes them available for online access and search. You can capitalize on your archives by deciding what you feel is the most appropriate business model. Offered at a very low cost, e-Archive is easily the most affordable online archive on the market today and easily turns dusty legacies, or more recent documents, into new revenue. e.g. : having your reader pay for the articles he selects out of the credits accumulated when he buys more copies or renews a subscription. You will discover that you have a stable, secure solution, as well as virtually unlimited bandwidth that will allow uninterrupted video streaming. Whenever you outsource, a back-up copy of all your archives, is built at your premises day by day and with absolutely no staff and no hardware & software investment required. Even the results of an advanced search are made available in a fraction of a second and presented in an intuitive and easily usable mode. 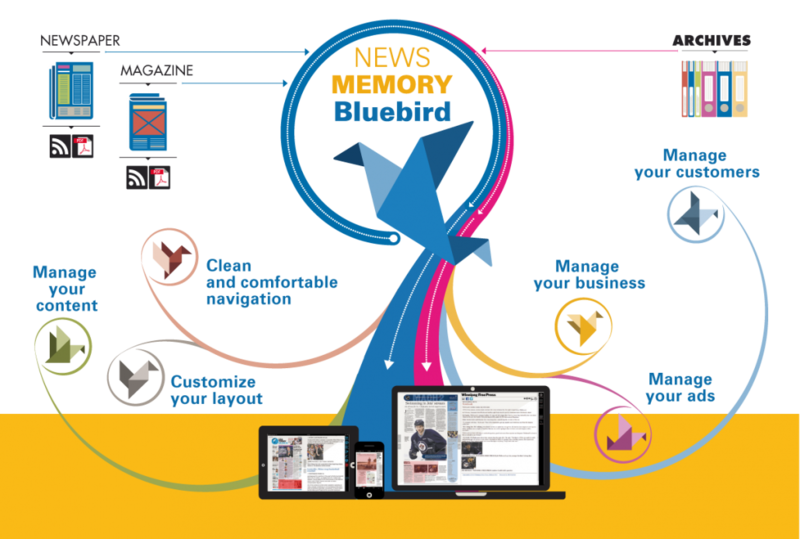 The efficiency and comprehensiveness of the search will – we’re sure – amaze even your editorial team, which will immediately adopt NewsMemory Bluebird as their own internal tool. Your reader will not realize that he is on our servers, and the search results, even from tens of thousands of your historical publications, will remain your sole property.